Aretha Franklin died earlier today after a prolonged battle with cancer. 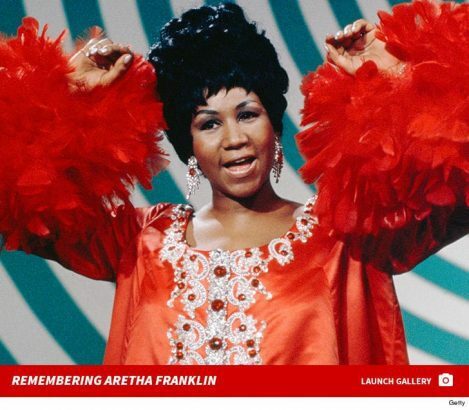 US President, Donald Trump and former Presidents of the United States, Barack Obama and Bill Clinton have paid tributes to the late Aretha Franklin. “Every time she sang, we were all graced with a glimpse of the divine,” the former US president said in a statement. “In her voice, we could feel our history, all of it and in every shade — our power and our pain, our darkness and our light, our quest for redemption and our hard-won respect. “Hillary and I mourn the loss of our friend Aretha Franklin, one of America’s greatest national treasures,” said the former US president in a joint statement with his wife, the former secretary of state. “I am deeply saddened about the passing of the Queen of Soul and my sister in song, Aretha Franklin,” the singer who also gained fame in the golden era of soul, disco and R&B. “Let’s all take a moment to give thanks for the beautiful life of Aretha Franklin, the Queen of our souls, who inspired us all for many many years. “She will be missed but the memory of her greatness as a musician and a fine human being will live with us forever. Love Paul,” the Beatles legend tweeted. “The greatest voice in American popular music has been stilled. Our beloved #ArethaFranklin has gone. “For me, she was a musical lighthouse, guiding and inspiring with every note. I loved her so and love her still. Goodbye, Queen of Soul,” the singer and actress tweeted. “Earth has lost a lot of music today,” civil rights leader Jesse Jackson said on local television. “The ever-reigning Queen of Soul Aretha Franklin is an iconic symbol of black pride whose music touched so many hearts and souls,” tweeted the rights organization. “Deeply saddened by the passing of a beloved friend and queen/warrior Aretha Franklin,” tweeted the civil rights activist. “One of the greatest voices of all time has been silenced,” tweeted the California congresswoman.